Blue Mesa Lodge 33ab is a beautiful, one bedroom, two bath, 848 sq ft condo with 2 decks in the Mountain Village core. Two queen beds and a queen sleeper sofa. 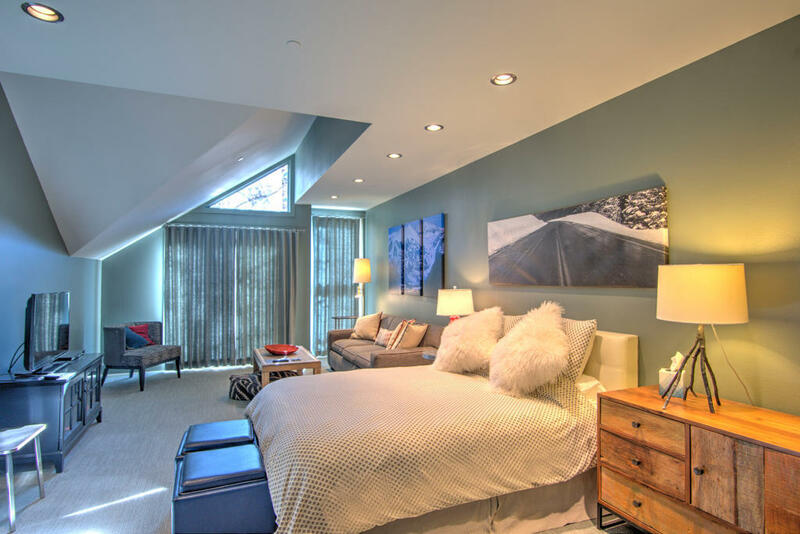 Fully and thoughtfully renovated with high quality finishes and furnishings. Steam shower and bathroom in-floor heat. Ski-in, ski-out from Sunset Plaza to lifts 1, 4, 10. A 2 minute walk to the gondola. Deeded basement garage parking and two ski lockers in the HOA ski changing room. 33ab has been immaculately maintained and managed as a vacation rental with a Gold Star rating and an fantastic rental income history, available on request. HOA dues covers all water, electric, cable, trash and private internet and parking expenses. The quarterly HOA dues covers all operating expenses of electric, gas, water, and cable.